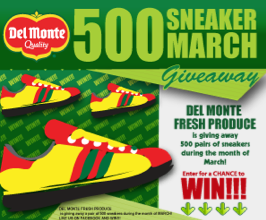 The "500 Sneaker March Giveaway," hosted on the Del Monte Fresh Produce Facebook page, will randomly award 500 sneakers to Del Monte Facebook fans who enter the contest and ten (10) Wii packages to people who get two (2) of their friends to sign up. The opinions on this post are my personal take on the products. This blog is a personal blog written and edited by me. I am not compensated to provide my opinion except for receiving the products themselves to test out. 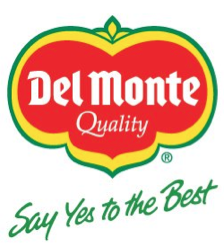 Del Monte provided me with a free samples of this product, and I was under no obligation to review it if I so chose. Nor was I under any obligation to write a positive review or sponsor a product giveaway in return for the free product.